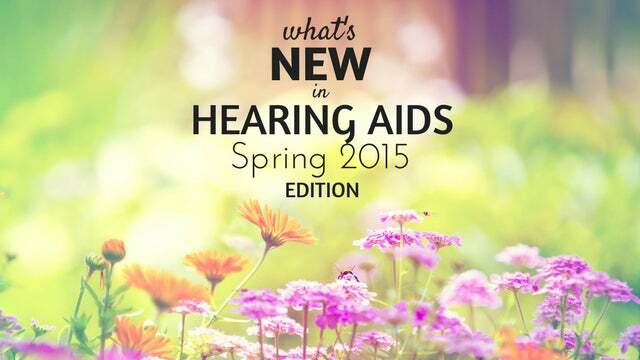 About twice a year, the top hearing aid manufacturers have big new product releases, once in the Spring and once in the Fall. 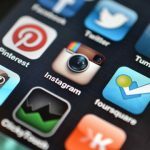 The Spring release is usually a big deal because the new technology is presented at the annual American Academy of Audiology convention, AudiologyNow, where thousands of Audiologists from around the country come to learn. It is important for Audiologists to stay up-to-date on the new products so they can offer the best solution to their patients. Even if they don’t attend the AudiologyNow convention, they will be notified after each new product release. While it can be somewhat of a competition between manufacturers to see what the “next big thing” is going to be, it generally all comes down to providing top-of-the-line products which can improve hearing and quality of life for people with hearing loss. As an Audiologist, I think it is an exciting time. I enjoy seeing what new technology is available for me to offer to my patients. It can also be a little overwhelming, especially if you are an audiologist who uses multiple manufacturers’ products. You must be sure that you are trained and knowledgeable about each new product release. 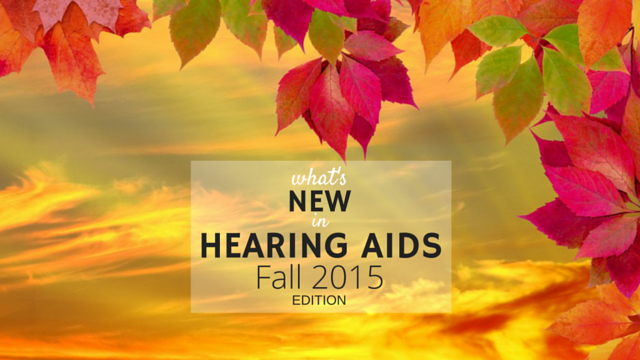 As a hearing aid user, you may or may not be told when a new product comes out. Your hearing healthcare professional may notify you the next time you come in the office for a visit, or they may send out a newsletter telling you about the new updates. Typically, if you purchased hearing aids within the last 3 years, you are likely not ready for something new anyways. But, in case you are a hearing aid user that likes to be sure you are getting the “latest and greatest” thing available, or you are shopping for an updated pair of hearing aids, or your first pair of hearing aids, these new hearing aid updates may excite you. Oticon has released what they call “The next generation of BrainHearing Technology“. Brain hearing technology is said to give an improvement in soft speech intelligibility and better hearing in noisy or challenging environments. This new “BrainHearing Technology” is available in their new performance line of hearing aids, the Alta2, Nera2, and Ria2. This hearing aid line is now available in their new smaller miniRITE design, as well as in their RITE, BTE, and custom styles, all the way down to a wireless IIC style. Oticon has also added their Tinnitus SoundSupport in their premium Pro products for management of tinnitus. Phonak has launched a new digital chip technology called Venture. It’s claimed to deliver twice the processing power with a 30% reduction in battery drain. Venture is available in 4 technology levels to help meet budget demands. It is available in their Audeo RIC models and their Bolero BTE models. Their Tinnitus Balance noise generator is also available in all levels. The biggest change in this new Venture platform is the AutoSense feature. It is used to help seamlessly blend the users changing listening environments. Phonak also has a full range of wireless accessories, with their new EasyCall II connecting hearing aids to any Bluetooth-enabled cell phone. At the end of 2014, ReSound was the first company to release a Made for iPhone hearing aid, the LiNX. The LiNX hearing aid allowed users to connect wirelessly to their iPhone, iPad, or iPod without the use of an intermediary device. When the LiNX was initially released, it was only available in one technology level (premium), and in one style (RIC style). ReSound has just launched their second generation of “smart hearing aids” called the LiNX2. With the LiNX2 there is a full-range of style options available, from a small IIC, up to a power BTE. The Made for iPhone connectivity is available in the RIC, BTE, and custom styles down to the ITC. This is a great way to ensure that practically anyone can wear a Made for iPhone hearing aid, they are no longer limited by style choice. They are the first company to release this full range of styles in a Made for iPhone (or “smart”) hearing aid. The LiNX2 device has all the original features of the LiNX device, with the added benefit of ReSound’s Tinnitus Sound Generator feature, as well as an advancement in their SmartRange digital chip processing with Binaural Directionality II and Smart Sense. They have also redesigned the original RIC style, with a new smaller receiver and dome. The LiNX2 is now available in three separate technology levels, the 9, 7, and 5. This allows for more options in needed features and pricing for the patient. In addition to their new ownership and soon-to-be name change to Sivantos, Siemens has claimed “the world’s first technology that outperforms normal hearing”, called the binax. With binax hearing aids, they claim to allow wearers to understand speech in demanding listening enviornments even better than people with normal hearing. Their new OneMic directionality offers advanced automatic directionality for hearing aids with only one microphone, such as their new Insio binax CIC (completely-in-the-canal). Their new BTE style, the Motion binax, covers more severe hearing losses in a more compact housing, with improved directionality and rechargeability. All binax products now also have adaptive streaming volume and the ocean wave tinnitus therapy signals available. Starkey recently introduced one of the first Made for iPhone hearing aids, the Halo. At the time of release, it was only available in a RIC style. Now Starkey has released Halo in a BTE style. It still has all the great features of the original Halo, with two style choices, RIC and BTE. In addition, the Halo is now compatible with select Android phones such as the Samsung Galaxy S 4 and S 5. Starkey also recently launched their Z Series, which features their BluWave 4.0 operating system and the 900sync Technology. This technology allows for a more robust wireless system that is virtually drop-free connectivity, with increased streaming range and less susceptibility to interference. Their two new features, Spatial Streaming and Stream Boost for enhanced wireless audio performance. Widex’s newest line of hearing aids, the DREAM series, got a few additions this Spring. They introduced the ultra small DREAM CIC Micro aid, one of the smallest CIC hearing aid styles on the market. Even with it’s small size, it still has all the processing capabilities of the other DREAM hearing aids and it can connect to an FM device. Widex also recently released they new Power BTE hearing aid, the Fashion Power. 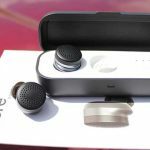 It gives those with a severe hearing loss a sleek design option. All six of these manufacturers have very comparable products in terms of function and style, but each new product release brings out a new “edge” against the other manufacturers. That’s it for the Spring 2015 edition. Be sure to check back for the Fall 2015 edition. 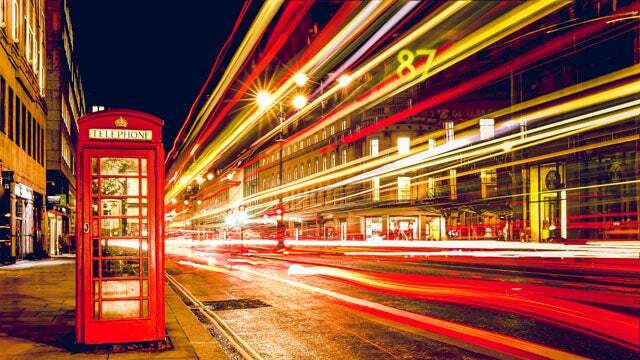 Why Does The World Sound So Noisy With My Hearing Aids? Good information, but I would have loved to have direct links to website pages (it is difficult to navigate a manufacturers site without having to shuffle through all of the marketing information. Also, pictures would be helpful. Nevertheless, this is my “go-to” site to reading about latest technologies in hearing aides! Hi Robyn. Thank you so much for the input. We are always looking for ways to improve the site so I will definitely include some more links and pictures in the future. I’m glad you are finding the information helpful! I am a double cancer survivor and I love my Starkey hearing aids. I am looking to purchase the Starkey z series very soon. How have others found the Z series working? regarding bilateral severe to profound RIC power mold fittings, in your opinion which manufacturer offers the best feedback management and proper ear mold fitting technology? Hi Anthony. Thank you for your question. As far as feedback management goes for severe to profound RIC fittings, my personal opinion would be that Starkey provides the best options. All manufacturers on this list have great feedback management systems but Starkey has always been my go-to when it comes to severe to profound loss RIC fittings. I would have like to seen side by side comparisons, ratings and reviews as well. Sandra, thanks so much for the input. In our next edition we’ll be sure to include some side by side comparisons. I completely loss my hearing in one ear (nerve deafness ). Which company and what specific name of its hearing aids do you think I should consider? With SSD I am looking for the best biaural technology. Hi Paul. Thank you for getting in touch. If you have SSD then you have a few different options for hearing aid technology. 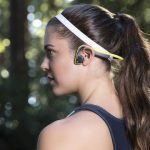 You can get a CROS hearing aid, which is a wireless option: https://www.everydayhearing.com/cros-hearing-aid/ Two companies who have very good CROS devices are : Phonak and Widex. Thank you. I have read mixed reviews with CROS for SSD patients and The Baha method seems so invasive. This would be my first hearing aid even though I have been SSD all my life; I am fearful and a little reluctant. If you want something less intrusive then I would definitely consider a CROS. If your hearing loss is true SSD, you will not benefit from traditional hearing aids, but a CROS device is a great alternative. Thank you for this useful site! I find it very hard to find any quantitative comparative data on different brands. Who do you think provides the most advanced wireless IIC at this time? It looks like the Oticon Alta2 Inium IIC, the Starkey Soundlens IIC , and the Siemens Insio Binax IIC, and the Resound Linx2 IIC all claim to have wireless support. From what LITTLE I have been able to access, it seems Oticon shows the most promise. Hi Wyn. 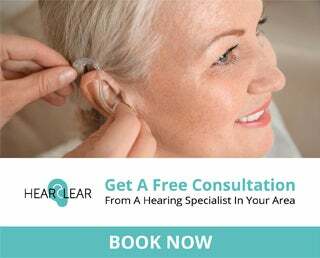 Thank you for checking out Everyday Hearing. As far as wireless IIC technology goes, The Oticon Alta2 Inium IIC is the only true wireless IIC available and would be my recommendation for most advanced IIC technology. The Soundlens and the Linx2 IIC do not have wireless capabilities. I am not as familiar with the Siemens IIC. I have had single sided deafness for 25 years following removal of an acoustic neuroma. I have read that the CROS hearing aid would be a good option for someone with SSD. In addition, I have recently read that Trrans Ear is a bone conduction hearing instrument designed specifically for SSD. Do you have any information about Trans Ear? I have been SSD all my life. About two years ago I got a TransEar. It’s a bit uncomfortable and it took several adjustments to make it useful. The greatest benefit I got from it is to know when someone is talking on my deaf side, but I can’t have a conversation with that person if there is any other sound on my good side. I noticed that TransEar works the same way if I push it against any bony part of my head. That being said, I wish there where glasses with that tech built in so I don’t have to put that thing in my ear. As far as CIC vs IIC goes, there is not going to be a significant difference in power level. If you want something more discreet then you should go with the IIC, however if you need something with wireless capabilities, you may want to consider a CIC because many of the IIC are not wireless. Oticon has one of the only wireless IIC aids at this time. Unfortunately I can not give you any information about branches and cost in India. My 90 year old otherwise very healthy mother has some hearing loss but refuses to address it by seeing a doctor. She doesn’t want to spend the money and is in denial that she needs a hearing aid. We’re thinking she will try a hearing aid if we just buy one for her. I know this goes against your grain, but if you had 1 stab at getting the right hearing aid, what would you try if you were an untrained consumer. I’m thinking to try the open-fit type. I would definitely advise against getting just one hearing aid. The brain relies on input from both ears and there are several issues that can arise from just wearing one…such as an inability to locate where sounds are coming from. Depending on the severity of her hearing loss is going to determine which styles she is a candidate for. I understand your dilemma with getting her to wear hearing aids. If it is the looks of it that she is hesitant about, let the audiologist know and they can recommend a more discreet style that will not show as much. Thanks for your reply Lindsay! Your response confused me until I reread my post, then it made me laugh. Sorry to mislead you but I did not mean that we want to buy “just one” for her, but that we will “just buy” one for her (without her paying anything). HAHA!!! The more I have read about hearing aids the less I think she is a candidate. Her hearing loss is mild, and I doubt she can endure what it takes to adjust. My siblings and I did not realize the difficulties involved with adapting to hearing aids. We thought it paralleled adjusting to a new prescription or bifocals for glasses. Hi I am 48 yrs old and I am looking to purchase the top of the line hearing aid but I’m tired of wasting money. I was born with a hereditary hearing loss. I have severe seneral profound hearing loss… I want something that is sweat/water proof hearingaid for sure and last alot longer than 4 years. So can you tell me which hearing aid you would recommend ??? Hello I am 38 year old and using simens hearing aid. Before using it iwas able to listen without hearing aid but after use it I am not able to listen without out it and has profound hearing loss. Now I want to know is this possible my hearing aid (loss of hearing due to hearing aid) and which type hearing aid is suitable for me I wan to use cic or iic is it suitable for me or not ? As I have profound hearing loss. Please suggest me because I want to change my simens bte hearing aid. 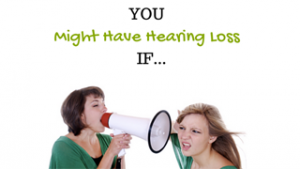 It is very unlikely that your hearing aid made your hearing loss worse. You probably have a progressive hearing loss (that which gets worse over time). I would not recommend a cic or iic hearing aid for a profound loss because they do not provide enough amplification to help your hearing. You would do much better sticking with a BTE aid. I would consider updating your hearing aid to a newer BTE aid. It doesn’t have to be Siemens. Hi BJC. That’s a good question. Typically every April/May the Big 6 manufacturers release new products. Sometimes they are big changes and sometimes they are very small. Siemens may or may not be making a big change to their Binax aids. I can’t say until they make the official release but I doubt this year’s change will be very big since it’s still a very new product. If that is the case, it won’t be a big deal if you upgrade now. However, you may want to wait and see what the other manufacturers come out with. I know their new UNIQUE line includes a new CIC MICRO. Let me know if that’s the one you were looking for. I hope you can forgive me asking in ruminative fashion. I have a single-sided loss, ~110dB loss in one ear, ~55-65dB in my “good” ear (with a flat ‘curve’, falling away a bit in the high frequencies). I’ve had my loss since birth (congenital rubella). I‘d love to hear your thoughts/suggestions. Could you please comment on what new developments you were impressed with at the recent Audiology convention?. I am considering the Phonak V50, or the Linx2 or Halo. 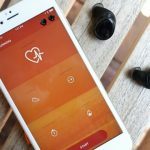 The Resound and Starkey pair directly with the iPhone and I like that feature but after trying all three, with my profound hearing loss I am leaning towards the V50…. Unless there were some new announcements last week that might change my mind. Your thoughts would be very helpful, thanks. The LiNX2 and Halo probably won’t be sufficient if you have a profound hearing loss. The Phonak Naida V50 would work for a profound hearing loss, but in order to connect to your iPhone (wirelessly), you would need an additional accessory, such as the Phonak Com Pilot. At the recent Audiology convention (AudiologyNOW! 2016), Oticon released a new product called the Opn, which may be of interest to you in this particular situation. However, it isn’t scheduled to be released until May 2016. Hi, I’m 52 years old and have hereditary loss that is approaching 60%. I have tried hearing aids in the past but they all seem to have the same problem, which is the work their way out of my ear throughout the day due to wax buildup. Is there anything out there that might be a possible solution to this problem? If so, having the iPhone connection would be a bonus! 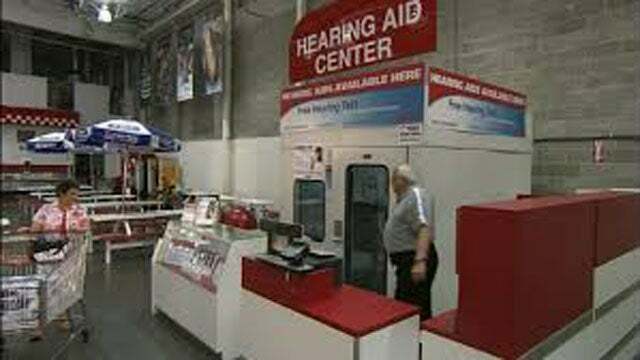 You shouldn’t have a problem with a BTE or RIC hearing aid working its’ way out of your ear. It is important that you see a licensed hearing healthcare professional to ensure a proper fit of the devices. Once a proper fit is achieved you should not have this issue.